The veil has already been lifted on Fujifilm’s new semi-pro interchangeable-lens compact thanks to a French magazine with an itchy printer finger, but here at CES, the camera has just been made official and all the gaps in our information have been filled. We’ll definitely be getting one of these to review. We don’t know the price yet (it’ll be announced later this month), but speculation is at around the $1500 mark (Update: Amazon had it listed briefly for pre-order at a massive $1700 body-only). makes it hard to place in the great digital camera family tree, but the closest I can place to it is the Sony NEX-7, which acts as a sort of chromed, modern counterpoint to the X-series’ throwback design. And in people’s minds it will also go up against things like Panasonic’s capable GX-1 (similar imaging promise, but way cheaper) and the Canon 7D (similar price, way larger) even though those cameras aren’t really the same type. It’s a complicated, but really exciting, competition between all these truly excellent cameras. 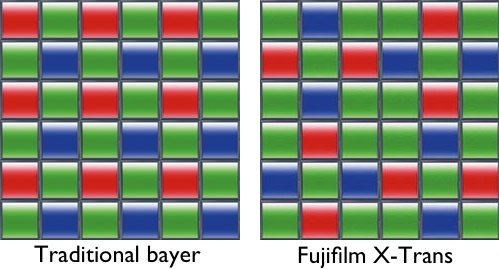 The new sensor and lenses will have to be tested, but Fujifilm is a big sensor tech buff and and can probably be trusted to do the right thing. And the other X-series glass has been excellent, so we can give them the benefit of the doubt. Commenters and others are split over whether these lenses are bargains or overpriced ($500-$600 for fast primes); we’ll see how they perform, but to me a 35mm F/1.4 for $500 (or with the kit) is, if the build quality is good, not a bad deal at all. There are rumors of a Leica M-mount adapter, too. 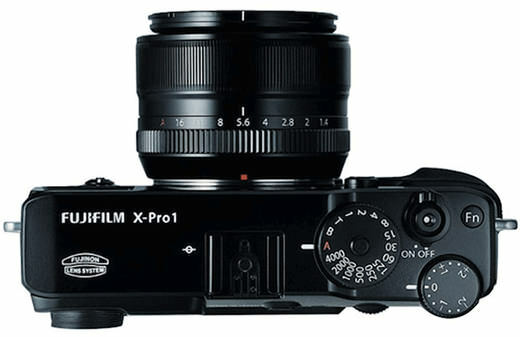 We’ll also see how the video performs; I wasn’t too enamored of the video mode on the other X cameras, but Fuji has been making improvements with each iteration and maybe they’ve added some useful functionality. And the film types — could be useful for people who like to maintain a certain look, but we all know RAW is the way to go. Got to love the design work on that flash. Doesn’t look like the most powerful unit, but for people photography it should be fine. The camera should be available in February, though as noted the price is not yet known. If that $1700 body-only price is real, I may soon be bankrupting myself to pick one of these things up.